Thank you very much for visiting our stand during International Fair Energetab 2018 in Bielsko-Biała. Your opinion and notices are very essential information. All of the visitors we would like to thank you very much for meetings, discussion and views exchange. 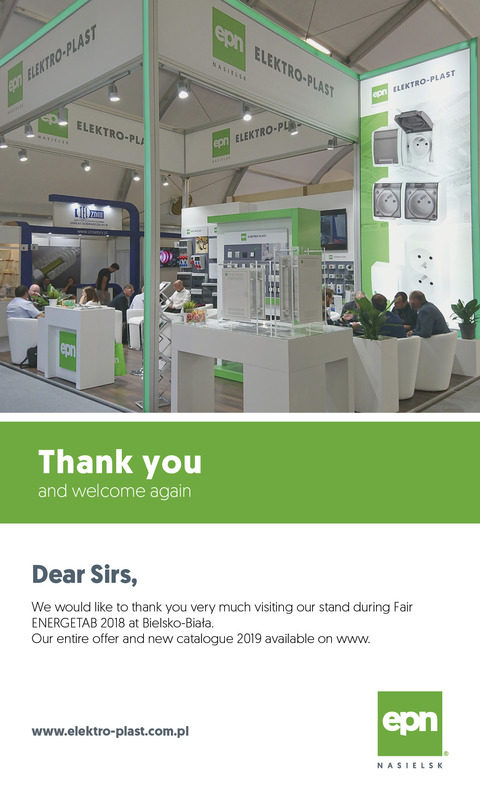 And even today we would like to invite you for another edition ENERGETAB Fair 2019.